HCISD invites the community to its annual Band Night on Wednesday, Oct. 3 at Boggus Stadium at 6 p.m. 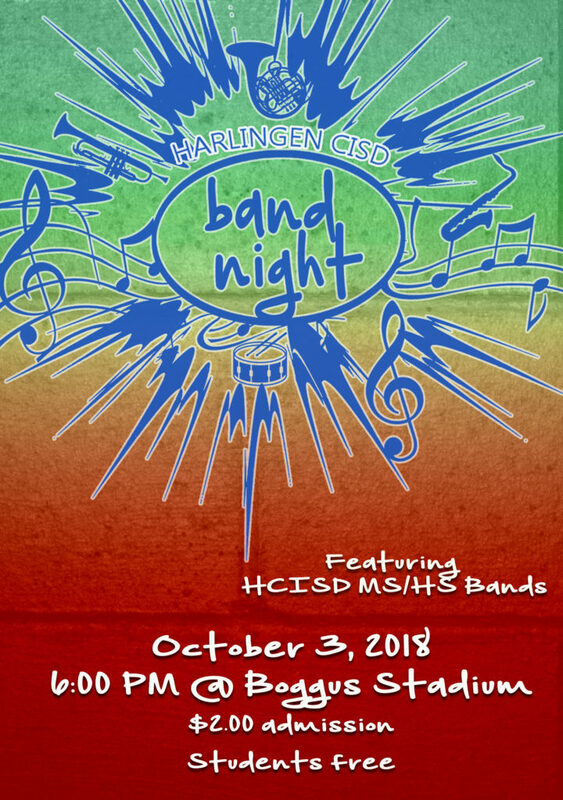 The event will feature this year’s marching shows for Harlingen High School’s Big Red Cardinal Band and Harlingen High School South’s Mighty Hawk Band as well as middle-school band performances. General admission is $2.00 and students get in free.